Now why did I get that for Christmas? This is a photo from Christmas Day showing the collection of my presents. The Rubik’s cube is Otto’s but somehow it ended up by me. 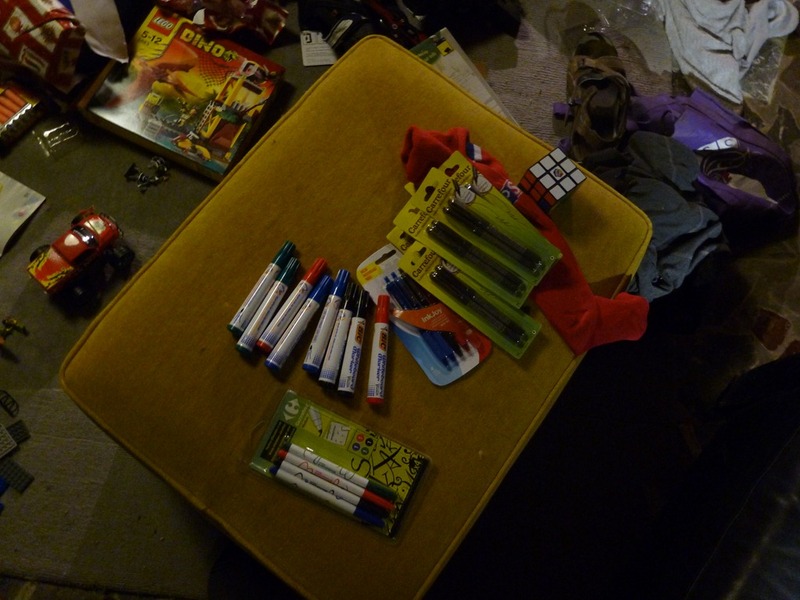 So there are a whole pile of whiteboard markers and another pile of pens. I get the feeling that I must have complained too much. Darn kids, always stealing my pens!